Play chess on your Android smart-phone or tablet. Go to the downloads section to get the latest version and more. 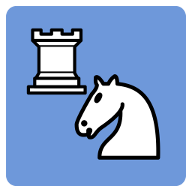 Chess is on GitHub - contribute and make it a better app!